This will be two reviews─one review for Step Up, and another for 3D. I shall first give the Step Up review, as the 3D review is filled with technical jargon, and is, quite frankly, boring. Of course we've seen movies like this before. A hero. And a villain. Team Hero, and Team Villain. A pretty chick who falls in love with Hero Leader, but later turns out to be the sister of Villain Leader. A final showdown between both teams. And of course─you guessed it─Team Villain wins. Not. Of course the hero wins. Whoever has the best abs wins. 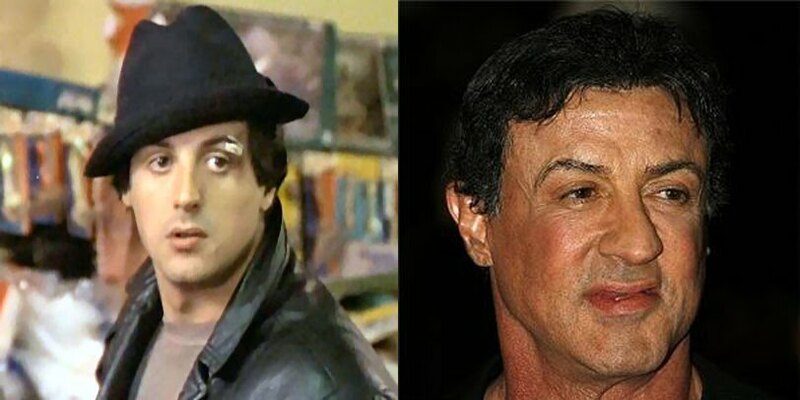 I mean, the last film I remember where the hero didn't win was Rocky. If you have no idea how old that film is, just check out Sylvester Stallone's pic and do the math. Wait, why did I just mention Sly Stallone in a review of a dance movie? That's like mentioning Che Guevara in a McDonald's commercial. Anyway, the Hero Leader didn't dance very much (so why was he the leader? Oh right, the abs). Pretty Chick looks like Princess Eowyn of Rohan (from Lord of the Rings). The Latino twins looked like annoying anorexic versions of the Russian bugs from A Bug's Life. The robot guy from Team Hero reminded me of Sam Worthington (again, Sam Worthington dancing the robot feels like Che Guevara in a McDonald's commercial). Although I liked Moose, because he was able to nail the part of "scrawny kid who's a great dancer" by being, what else, a scrawny kid who's a great dancer. So I guess that doesn't really count, because he may not really be acting after all. If you tilt your head up, you lose the 3D-ness. That's because the angle of the light striking your eyes changes. If you cover one eye with your hand, the movie becomes 2D. As soon as you release your hand, the images "pop" back into 3D. Like literally, if it had a sound effect, it would sound like "pop". If you cover your left eye, the image becomes 2D (I just said that). And if you cover the right eye, the image is almost the same. Almost, but not exactly. Maybe 90% the same. So that means that the framing for both left and right lenses should be 90% the same. Which means you cannot have too much parallax. Which means that putting together two cameras and shooting is not as easy as it seems, but nothing that subject distance, focal lengths, and zooms cannot cure. Putting your face or your hands (or any part of you) close to the camera. Also, I have come to realize that 3D is more than a medium. It is a tool. Filmmakers must not use 3D just because it's hip, it's cool, or it's the future. 3D should be used because it is beautiful, and that its 3D-ness will help tell the story better. It's like Black and White. Filmmakers should only decide to use black and white if it will tell the story better than in color. That said, Step Up 3D and U2 3D have utilized 3D the most, while Avatar 3D, although beautiful and groundbreaking, did not actually use 3D to propel the story. And before I end, let me just tell the filmmakers who are reading this: My knowledge of 3D (both traditional anaglyphs and Real D) is quite extensive. I am willing to share this knowledge, as long as you agree to involve me in your project, in any way possible, should you happen to make a 3D film before I do. Step Up 3D. USA. 2010. 3D-ness: Eight point eight out of ten. I enjoyed this movie because of the dancing and the 3D independently. But if combined, maybe not so much (same 'ol plot from almost all dance films, not so good but yummy (think shirtless and tank tops) lead actors) Although, the the why-do-you-dance sort-of-docu interview is a nice touch. Watch out for the second round of the dance contest─super looove it! I think the finale dance sequence if just second to wet n' wild! Haha. That is the simplest manifestation why Moose became sort-of the lead coming from Step Up 2. He's just simply adorable in and out of the dance floor. I loved the costumes in the final dance sequence. But I loved the cinematography (especially the slow motion shots) of the wet n' wild sequence. Hehe.